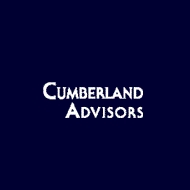 Cumberland Advisors is a registered investment advisory firm headquartered in Sarasota, FL (with a branch office in Vineland, NJ). Originally founded in 1973, the firm has clients in approximately 48 states, the District of Columbia and several foreign countries. The firm has a wealth preservation bias and conservative investment orientation to manage both risks as well as returns. $100 Oil and the Economy – Is the Worst Behind Us?